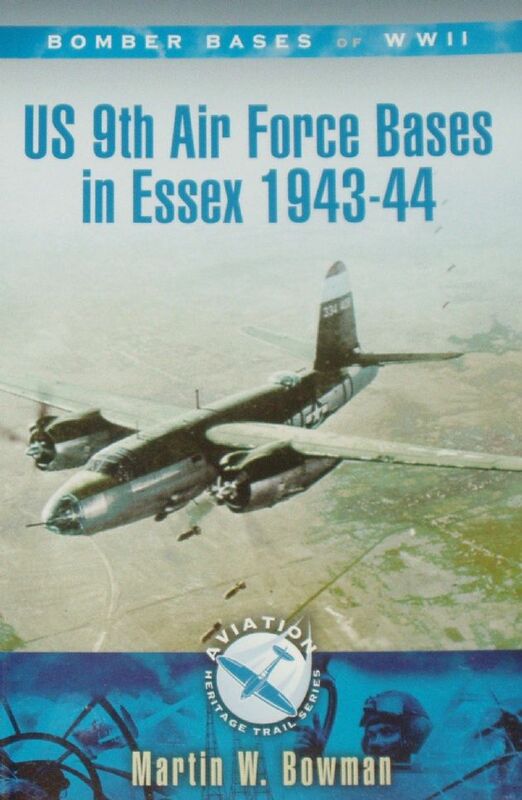 From the rear side cover: The airfields and interest in this book are concentrated in a particular area in this case Essex. It covers the American air bases used by the Martin B-29 Marauders, P-47 Thunderbolts and P-51 Mustangs of the 9th USAAF Air Force during 1943-44 prior to their move south to France after the D-Day invasion on 6 June 1944. The airfields included are Andrews Field, Birch, Boreham, Boxted, Chipping Ongar, Earls Colne, Gosfield, Great Dunmow, Little Walden, Matching, Roydon, Rivenhall, Stansted, Wethersfield and Wormingford. This book looks at the history and personalities associated with each base, what remains today and explores the favourite local wartime haunts where aircrew and ground crew would have sought well-deserved entertainment and relaxation. Other museums and places that are relevant will also be described and general directions on how to get them included.